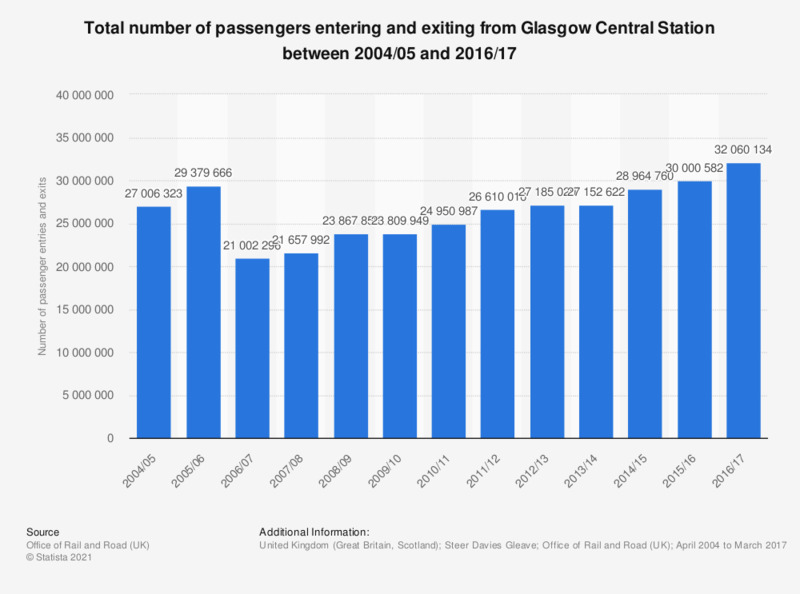 This statistic shows the number of passengers entering and exiting from Glasgow Central Station between 2004/05 and 2016/17. There was a sudden drop in the number of passengers passing through the station in 2006/07, however, since then there has been a steady increase. This number reached 32 million in 2016/17.